It finally happened! 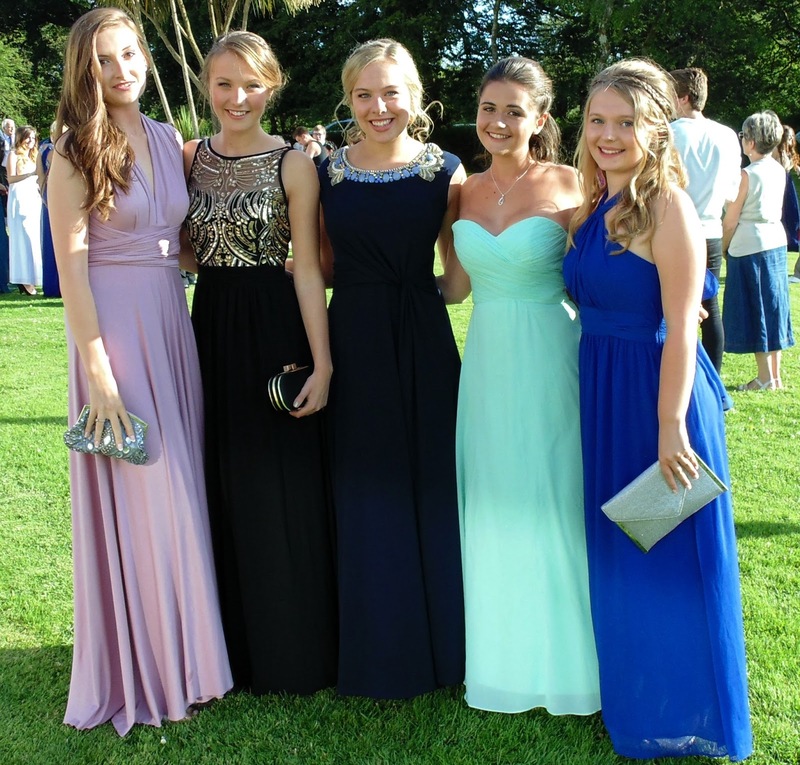 After years of my friends and I designing our dream prom dresses, we actually experienced our leavers prom last night. 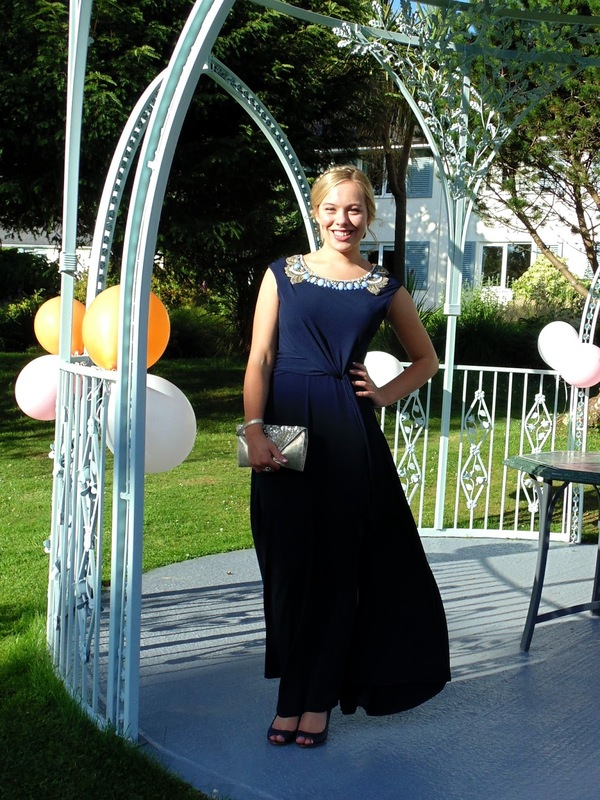 My prom was held at a gorgeous little hotel hidden away on the picturesque Dartmoor. The venue really was perfect, with beautiful gardens to explore and great for photo opportunities. I had my hair done by a stylist at my local salon, which she did amazingly! I was so pleased with the up-do; I asked for something really loose and kind of casual/ messy but still put together looking. 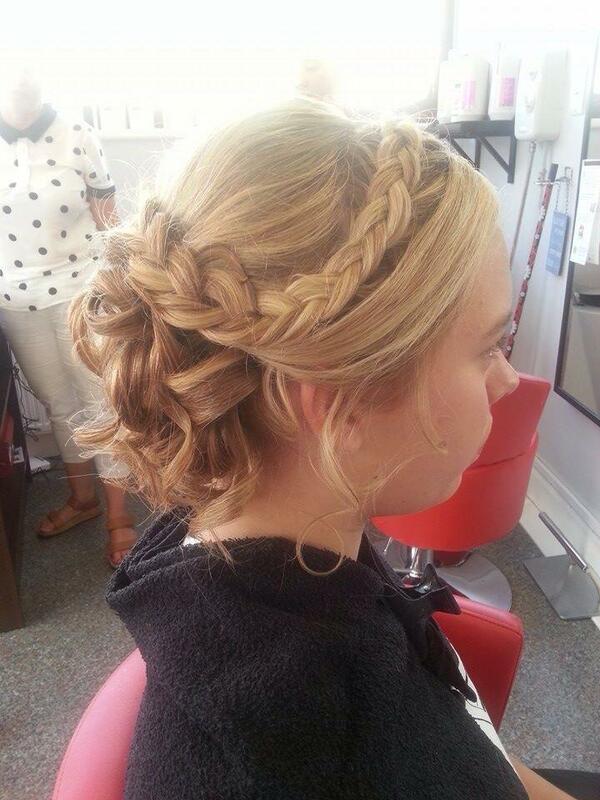 I love the braid especially! I did my own makeup- I wanted to go for a bronzed look, not too over the top. I used Mac Tan Pigment on my eyes with Urban Decay Naked Basics Palette's Naked 2 and Faint through the crease. I used the Elizabeth Arden Mineral Bronzing Powder on my cheeks for a flush of colour and Kate Moss for Rimmel London in 03 lipstick on my lips. A makeup tutorial will be coming soon for this look! 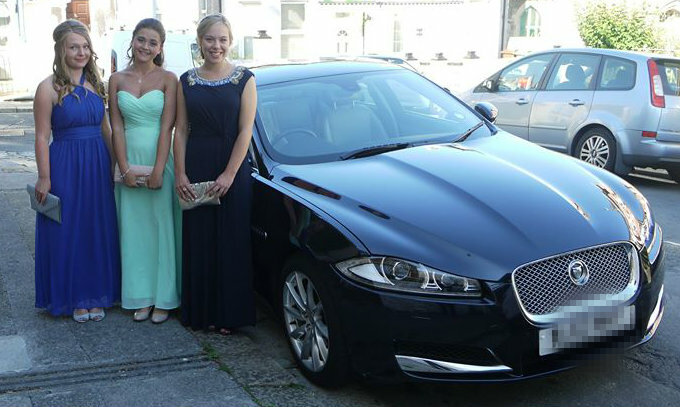 Beforehand two of my friends, Becca and Helen, came around to my house to take some photos together and then we all got in my Grandad's car to take us to prom. My dress is from Monsoon, my bag and ring are from Accessorize and my shoes are from M&S. I really loved seeing all of my friends (see more photos of my friends and I on my Facebook if you are my friend on there!) and talking to everybody. 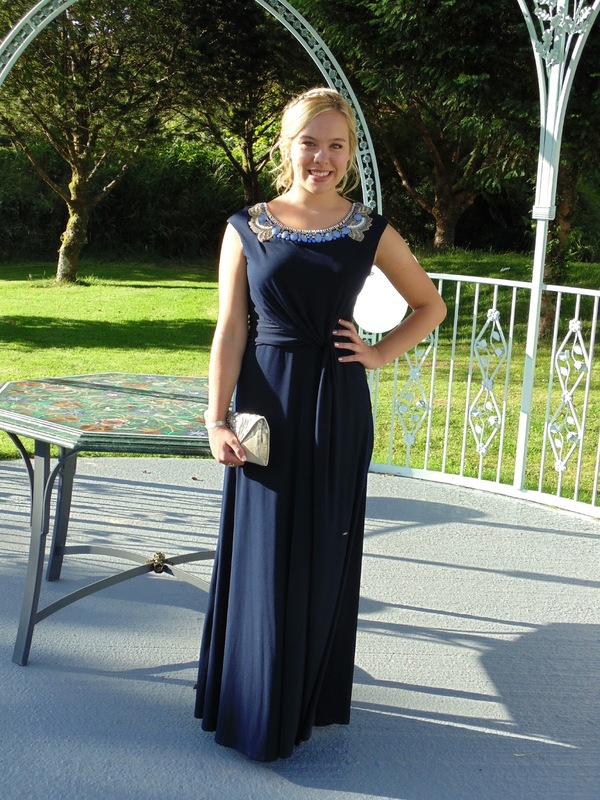 I was worried that people would be judge-y at prom, but that was not the case at all! Everybody was really sweet and walking up to different people that they maybe wouldn't usually socialise with and say how nice they looked and whatever, and that was really lovely. The place was decorated wonderfully by the fantastic prom committee who did an awesome job! We had a DJ (ok, he wasn't that great... but we still danced a lot haha! ), photographers and a photobooth which was really fun! Overall the night was so much fun. From dancing on the dance floor, sitting on the terrace eating chocolates, to running around the grounds in no shoes in our ballgowns- I enjoyed every minute with all of my amazing friends. I hope that you enjoyed looking at my photos! A makeup tutorial will be up next week. You, your hair and your dress are all absolutely STUNNING! I'm glad you had a wonderful time, I would love to live prom again! 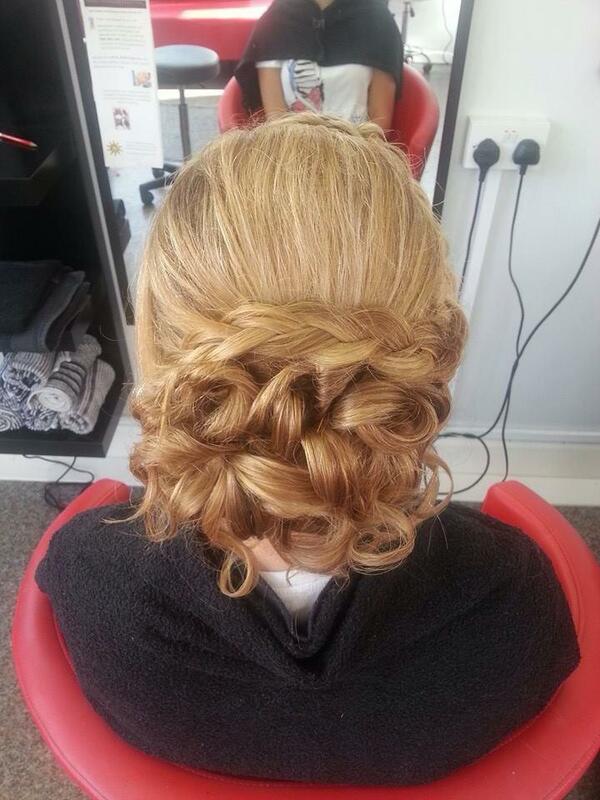 your hair looks lovely and your dress looks absolutely stunning!